Central Rivers AEA has selected Ashley Sires as the assistant regional administrator for Region 7. She replaces Julie Miller who moved into the regional administrator role for Region 10. Ashley joined the agency in 2016 as a special education consultant. 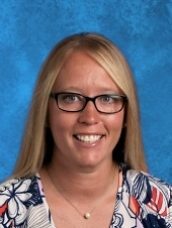 Prior to that, she worked at Dunkerton Community School District as a special education teacher and coordinator. Ashley received her education through Luther College and UNI for Psychology, Elementary Education, Early Childhood, and Special Education. She earned her Masters in Educational Leadership through UNI and an endorsement for Special Education Consultant through Morningside. Concerns around student mental health are on the rise among school districts served by our agency. In response, we have established a contact person in each region who acts as a resource and can provide consultation.